A barcode is an optical, machine-readable, representation of data. Originally barcodes systematically represented data by varying the widths and spacings of parallel lines and may be referred to as linear or one-dimensional (1D). Later two-dimensional (2D) codes were developed, using rectangles, dots, hexagons and other geometric patterns in two dimensions, usually called barcodes although they do not use bars as such. Barcodes originally were scanned by special optical scanners called barcode readers. Later applications software became available for devices that could read images, such as smartphones with cameras. Barcodes became commercially successful when they were used to automate supermarket checkout systems, a task for which they have become almost universal. Their use has spread to many other tasks that include stock control labels and other warehouse and in manufacture control applications. 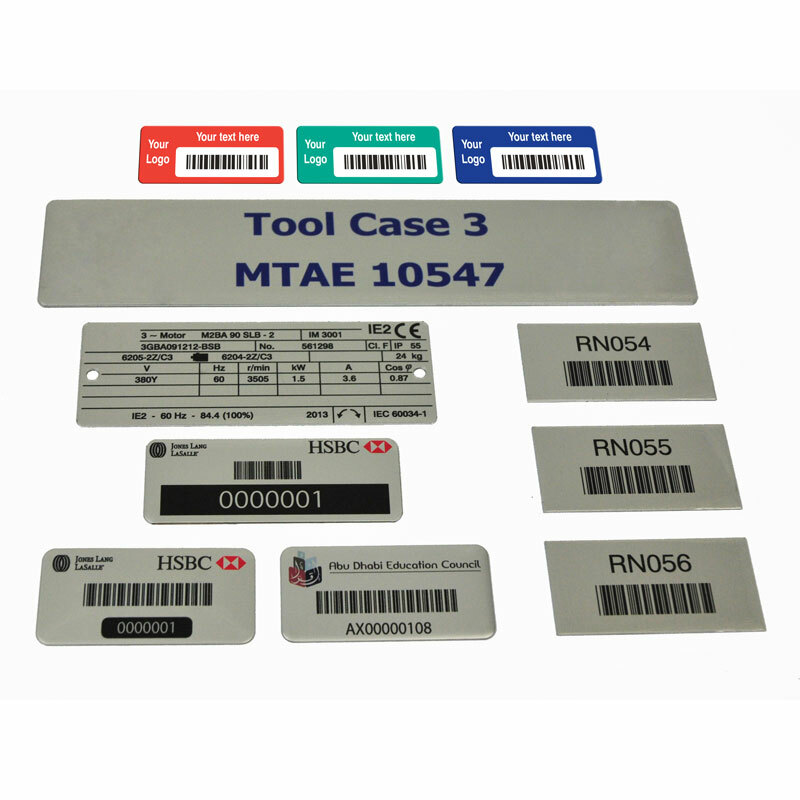 Barcoded labels and nameplates are often consecutive numbered alongside the barcoded information.